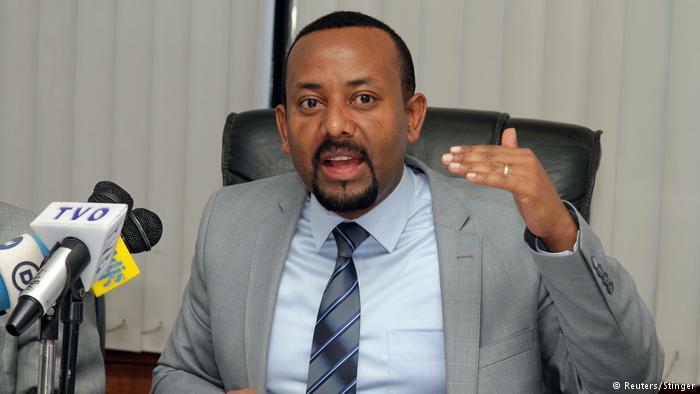 Abiy Ahmed was born in Beshasha small town/village in the historic Kaffa Province (in modern times Jimma Zone, Oromia Region), Ethiopia, on 15 August 1976. 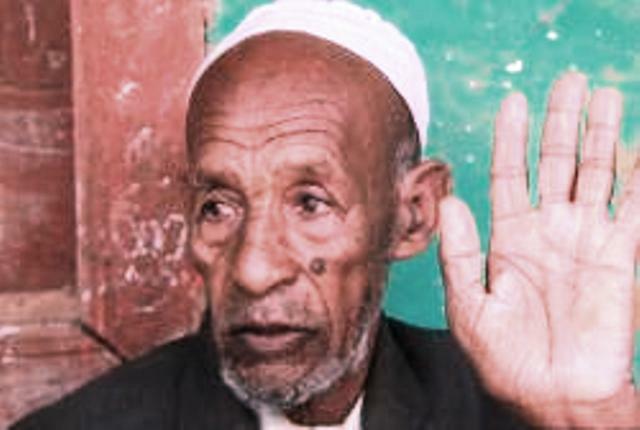 His father, Ahmed Ali, is a Muslim Oromo; while Abiy’s deceased mother, Tezeta Wolde, was a Christian Amhara from Burayu just outside Addis Ababa and was his father’s fourth wife. Abiy is the thirteenth child to his father and was the sixth and youngest child of his mother. His childhood name was Abiyot, meaning Revolution, in Amharic, a name that was sometimes given to children in the aftermath of the Derg overthrow of Haile Selassie (Tafari Makonnen) in 1974. Located in southwestern Ethiopia, the small town Beshasha has two major agricultural products of Ethiopia – coffee and khat. Kaffa (Kefa) was a province on the southwestern side of Ethiopia; its capital city was Jimma. It was named after the former Kingdom of Kaffa. The etymology of Kaffa is thought to be from the Arabic qahwah meaning “a drink from berries”. The English word coffee is derived from the same root. The then Abiyot went to Beshasha Primary School till his 6th grade and later went to a number of secondary schools in Agaro town (or Haggaro) 17 km from Beshasha (schools names are unknown). His secondary education was interrupted when he joined the very tiny Oromo People’s Democratic Organization (OPDO) few moths after the fall of Derg at the age of 14. The Derg (meaning “committee” or “council”) is the short name of the Coordinating Committee of the Armed Forces, Police and Territorial Army. Officially known as the Provisional Military Government of Socialist Ethiopia, it took power following the ousting of Emperor Haile Selassie in 1974. In 1987 the Derg was replaced by Mengistu Haile Mariam, its chairman since 1977, with the People’s Democratic Republic of Ethiopia (PDRE). Mengistu was overthrown in 1991. The Derg was being fought mainly by a coalition between the Tigray People’s Liberation Front (TPLF) (popularly known as Woyane) formed in 1975 with the Eritrean People’s Liberation Front (EPLF) formed in 1970. EPLF won Eritrea on May 24, 1991 from the PDRE. Fighters from Tigray formed in 1988 a coalition with Amhara to overthrow the Derg. They called it Ethiopian People’s Revolutionary Democratic Front (EPRDF) made of the TPLF (Tigrayan People’s Liberation Front) and the now called ANDM (Amhara National Democratic Movement). The Oromo Liberation Front is an organisation established in 1973 by Oromo separatists to promote self-determination for the Oromo people against Amhara hegemony as oppressing and suppressing the Oromo people and their culture. Their program called for the “total liberation of the Oromo nation from Ethiopian colonialism”. The OLF (Oromo Liberation Front) was fighting the Derg alone. At the time, Agaro town was an OLF stronghold. In 1990, the TPLF formed several other ethnic based political groups from prisoners it had released and put them all under an umberalla organization called the Ethiopian People’s Revolutionary Democratic Front (EPRDF). The Oromo group in the EPRDF was the Oromo People’s Democratic Organization (OPDO) and its creation was seen as an attempt to undermine the OLF. The Oromo People’s Democratic Organization (OPDO) was a very small group competing with the existing much bigger Oromo Liberation Front (OLF). The Oromo Liberation Front, the Tigrayan People’s Liberation Front and the Eritrean People’s Liberation Front had differing alliances with each other, the TPLF and EPLF had a strong alliance and they both had limited coordination with the OLF. A friend of Abiy by the name Komitas became the personal driver of Abadula Gemeda, one of the founders of the OPDO, and through this opportunity, it is believed he made his first moves in 1990. Abiy began his career as a radio operator for the OPDO. With the downfall of the Derg he took formal military training at the Assefa Brigade in Western Wollega with a focus on Radio Communications and Military Intelligence. Abiy’s father, Ahmed Ali, along with his first son Kedir Ahmed was imprisoned by Derg in 1990 for a short time. Kedir Ahmed died in unknown circumstances. The death of his brother shook Abiy and made him join the small and newly formed OPDF. At the age of 15 or 16, he took military training from Assefa Brigade in West Wollega and was stationed there. His military post was in intelligence and communications. At the age of 17 he became a soldier in the now Ethiopian National Defense Force in 1993 and worked mostly in intelligence and communications department. In 1995, at the age of 19, after the Rwandan genocide, he was deployed as a member of the United Nations Peace Keeping Force (UNAMIR), Kigali, Rwanda. Later, while serving in the Ethiopian National Defense Force, Abiy received his first degree, a Bachelor’s degree in Computer Engineering from a private IT college in Addis Ababa, called Microlink in 2001. In 2005, Abiy earned a post-graduate certificate/declaration in Cryptography at Machihe Dynamics in Pretoria, Republic of South Africa (AES encryption based on block cipher). Abiy holds a Master of Arts in Transformational Leadership and Change, from the International Leadership Institute, Addis Ababa, in 2011, which has partnership with the Business School at Greenwich University, London. He also holds a Master of Business Administration from the Leadstar College of Management and Leadership in Addis Ababa in partnership with Ashland University in 2013. Abiy, who had started his Doctor of Philosophy (PhD) work several years ago as a regular student, completed his PhD in 2017 at the Institute for Peace and Security Studies, Addis Ababa University. He did his PhD work on the Agaro constituency with the PhD thesis entitled “Social Capital and its Role in Traditional Conflict Resolution in Ethiopia: The Case of Inter-Religious Conflict In Jimma Zone state”. As a follow-up to his PhD thesis, he published a research article on de-escalation strategies in the Horn of Africa Bulletin in a special journal issue dedicated to countering violent extremism. According to multiple sources, Abiy joined a military organization as radio operator in early 1991, just a few months before the downfall of Derg, almost at the age of 15. He did so as a member of OPDO (Oromo People’s Democratic Organization), which at that time was a tiny organization of only around 200 fighters. As there were only so few OPDO fighters in an army with its core of about 90,000 Tigrayans, Abiy quickly had to learn the Tigrinya language. As a speaker of Tigrinya in a security apparatus, he could move forward with his military career. After the fall of the Derg On 21 May 1991, he took formal military training from Assefa Brigade in West Wollega and was stationed there. His military post was in intelligence and communications. Later on he became a soldier in the now Ethiopian National Defense Force in 1993, aged 17, and worked mostly in intelligence and communications department. In 1995, after the Rwandan genocide, at the age of 19, he was deployed as a member of the United Nations Peace Keeping Force (UNAMIR), Kigali, Rwanda. Only 21 years old he served in the Ethio-Eritrea border war between 1998 and 2000. 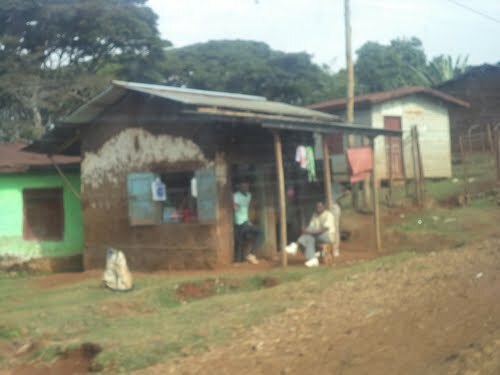 In 2006, Abiy went to his home town of Beshasha, where he address religious clashes between Muslims and Christians with 6 deaths. On 14 October 2006, a group of three hundred Muslims, carrying guns and knives approached a church where the Orthodox Christians were holding a midnight worship service. When the locked doors prevented the mob from entering the church they forced the congregation out of the church by pouring gasoline around the building. The men of the church came out first and attempted to defend the men and women but because they had no real weapons in comparison to the guns and knives used against them they were attacked by the mob. Fifteen individuals from the church suffered severe knife wounds and six people died as a result – two priests, two elderly women, and two men. Two weeks later, the Ethiopian media announced that the police had arrested the leader of the massacre. It was only two weeks before the Beshasha massacre that another attack on Christians occurred in Jimma, Ethiopia because Muslims opposed Orthodox Christians celebrating the traditional Meskel holiday. This was a prelude for his role as an inter-religious mediator he became in later years. In 2008, Abiy was one of the co-founders of the Ethiopian Information Network Security Agency (INSA), where he worked in different positions. For two years, he was acting director of INSA due to a leave of absence of the director assigned to the post. In this capacity, he was board member of several government agencies working on information and communications, like Ethio Telecom and Ethiopian Television. In 2010, Abiy eventually decided to leave the military and his post as deputy director of INSA to become a politician. The highest rank he had achieved during his military career was that of a Lieutenant Colonel. Some reports confirm he stayed as a member of the Ethiopian National Defense Forces till 2007 only. According to his profile, which was presented to the House of People’s Representatives in 2015, while he was being appointed by Hailemariam Dessalegn as minister of Science and Technology, Abiy’s military rank was Major. Are his education, degrees and doctorate genuine and of substance; or made up and political character cosmetics? Is he a young fast-rising national leader; or a foreign-backed manufactured agent? Is he a maker of peace, solidarity, and freedom; or an ethnic-religious manipulator, terrorism businessman, and oppressor? Is he a politician of principles and values; or a Machiavellian person and soldier? Is he going to develop and protect Ethiopia; or sell it out to foreign businesses and turned it to a vassal state? Is he a man of the future; or he will return Ethiopia to its ugly brutal feudal past? Will he respect the duties of PM towards all Ethiopians; or does he have an agenda against the Tigrayan people? Will he reveal and correct the history and atrocities of the regime of Tafari Makonnen (Haile Selassie); or conceal and support it? Will he rid Ethiopian politics from ethnic and religious antagonistic parties; or will he capitalize on them for survival? Will he respect the demands of poor agrarian majority; or will he suppress and deceive them? Will he continue the previous policies of liberation from injustice and slavery; or will he lead a privileged minority only? Africans must watch out to protect Ethiopia and Africa.